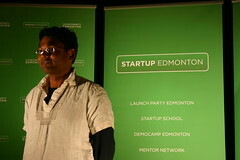 Tonight I attended Edmonton’s first Launch Party, and I’m happy to report that it was awesome! 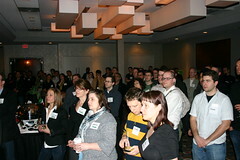 Including the presenting companies, investors, and media, there were about 250 people in attendance, a fantastic turnout and great show of support for Edmonton’s startup scene. 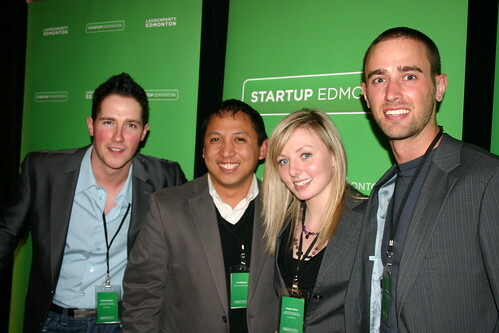 There was food, drinks, a DJ, great conversation, and of course, some of Edmonton’s best and brightest entrepreneurs and developers. 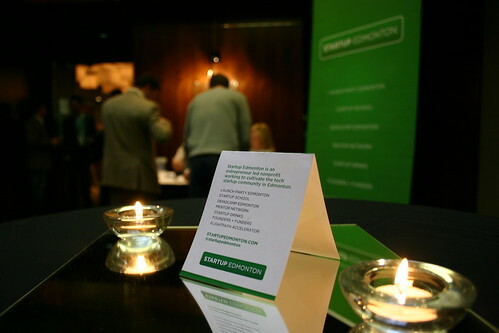 Each company had a slightly different approach to greeting interested individuals, but Yardstick stood out. They had margarita machines at their table, and gave out free drinks all evening long! Overall, I’d say the event had the same kind of vibe as an artsScene party (for a quick look at what the evening was like, check out this video). I asked as many of the companies as I could about their thoughts on the evening. 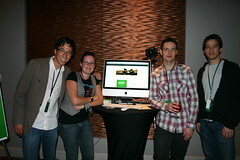 All of them told me that the opportunity to meet so many people at once was truly valuable. 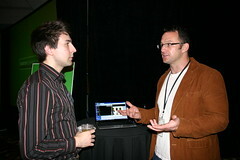 And the opportunity to meet with such different people too – investors, techies, customers, etc. 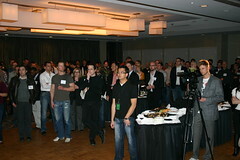 Everyone seemed to be enjoying themselves while learning about the companies. Like many of the people I talked to tonight, I was impressed with the diversity of the crowd. I feel like I know a lot of people in the local tech community, and there were a lot of people there tonight that I had never met before! It was like a bunch of different communities came together, which is really important for growing the local startup scene. Kudos to Mark, Ken, Cindy, and Cam for putting on an excellent event. Can’t wait for the next one! 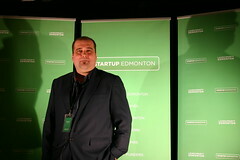 Stay tuned to the Startup Edmonton site, and follow them on Twitter for updates. You can see the rest of my photos here. You can watch Ken welcoming everyone here.